Tuxedo Park Fire Department - Welcome! 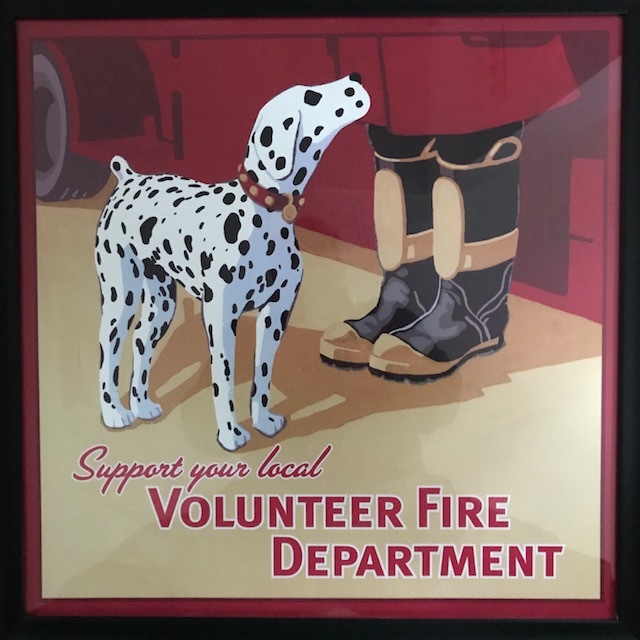 We are an all-volunteer fire department comprised of 25 active and associate members plus 16 honorary members. The Department, now known as Tuxedo Park Fire Department, Company 1 of the Tuxedo Joint Fire District has the trucks and members fully equipped and trained to perform pumper, ladder as well as rescue operations; hence our motto, "We Do it All". In 2018, we responded to 221 calls; including such incidents as structure fires, brush fires, vehicle accidents on local roadways and on the New York State Thruway, gas leaks, electrical hazards, downed trees and community service calls. All of our members maintain response-readiness through continuous and regular hands-on drills and classroom training. We are volunteers who are on call 24 hours every day of the year to serve and protect the community. In 2008, the Tuxedo Fire Department received a Fireman’s Fund Heritage Grant plus a grant from New York State which, combined together, made it possible for us to purchase an AVON inflatable rescue boat and outboard motor which we took delivery on February 11, 2009. Since then, we have conducted numerous drills with the boat and motor as the Ramapo River water levels allowed. The membership is well-versed in the proper setup and safe operation of the boat and motor. Hurricane Irene provided us with the first non-training use of this boat and motor combination. Specifically, there were three rescue incidents involving the boat. First, early Sunday morning, August 28, 2011, we were dispatched to a call for a vehicle stuck in water on the New York State Thruway. During our “sizeup” (or assessment) of the situation, it was determined that the passengers in the vehicle were elderly people who would have difficulty walking through the swiftly moving water to safety even with the help of firefighters. Consequently, the boat was deployed and used to successfully ferry the victims to safety. Second, later that afternoon, we were again dispatched to a vehicle stuck in water. This time it was near Route 17 in the northern section of the Town of Tuxedo and the vehicle was a dump truck with three passengers. The initial “sizeup” by the Rescue Team north of the victims, determined that there was considerable distance to the victims and that areas of swift current and deep water would make accessing the victims extremely difficult, if not impossible, without the boat. The boat and motor are stored on the Rescue Truck 568 that was assigned to stay in the Hamlet area during the storm. Upon receiving the call, Rescue 568 and its crew proceeded north from the Hamlet on Route 17 as far as the flood waters at that time would allow. There was an impassable area approximately 300 yards long in front of the Duck Cedar Plaza. The boat was unpacked, inflated and dispatched with a crew of eight firefighters across this first expanse of water covering Route 17. The boat and motor were then portaged across what seemed like miles of pavement (although actually only ½ to ¾ of a mile) before getting to the expanse of water by the ball field where the dump truck was stuck with water up to its hood. The boat and motor combination allowed us to pass the considerable distance across the deep and fast-moving water to reach the victims quickly and safely. They were all very happy to see us and relieved to get off the truck and into the boat safely. Third, on Monday, August 29th, the boat was used to ferry an Orange County Hazmat Officer to a large home heating-oil storage tank at the SOS Fuels site so he could access damage to, or spillage from, the tank. When it was determined that the tank was leaking, absorbent booms were deployed from the boat to help contain the leaking oil. These three calls during Hurricane Irene certainly demonstrate the need for these very important pieces of rescue equipment, and we appreciate both Fireman’s Fund and Assemblywoman Annie Rabbitt and the State of New York for making it possible for us to procure this invaluable rescue equipment.